That’s right – we’re fighting mummies in this story! Why? 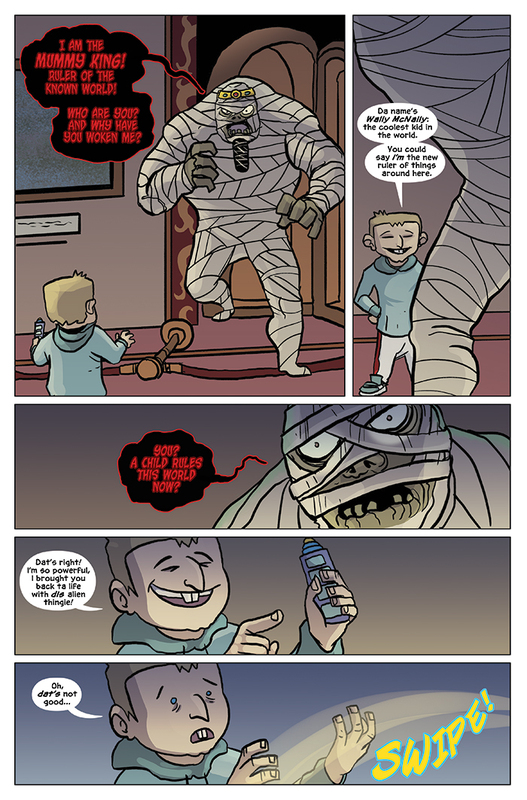 Because mummies are AWESOME! That’s why! I try to keep Albert pretty historically accurate and keep the human events pretty normal, but with the Mummy King I figured I could be a little less specific because the lesson was being taught by a mind-controlled VP Ming. If the alien school supplies don’t know Earth history, then maybe he wouldn’t either. Plus, this gave me more flexibility to play with the world of Albert a bit. But honestly, this Mummy could be anyone.